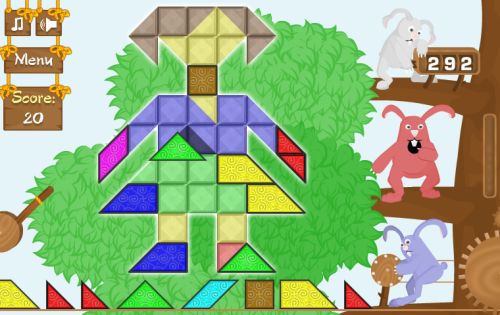 Description Simple nice puzzle-game with 3 funny rabbits. Drag and drop the shapes to complete the mosaic. Drag and drop the shapes to complete the mosaic.